Mitie, the facilities management company, has been awarded the security contract for Eggborough Power Station. 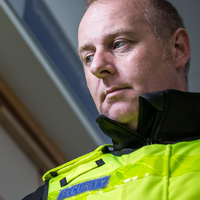 Mitie’s total security management business was successful in securing a three year contract at the plant near Selby delivering 24 hour security personnel. The Mitie team was awarded the contract based on its critical security environment expertise. In addition to this they can offer superior learning and development capabilities, and online operations software Workplace+, giving the client access to contract management information.